Preheat oven to 400°F. Place naan bread on a baking sheet and then spread cream cheese over top. Add tomatoes, mushrooms, spinach, and Parmesan but leave a space to crack the egg. Crack the egg into the hole and then place the baking sheet in the oven. 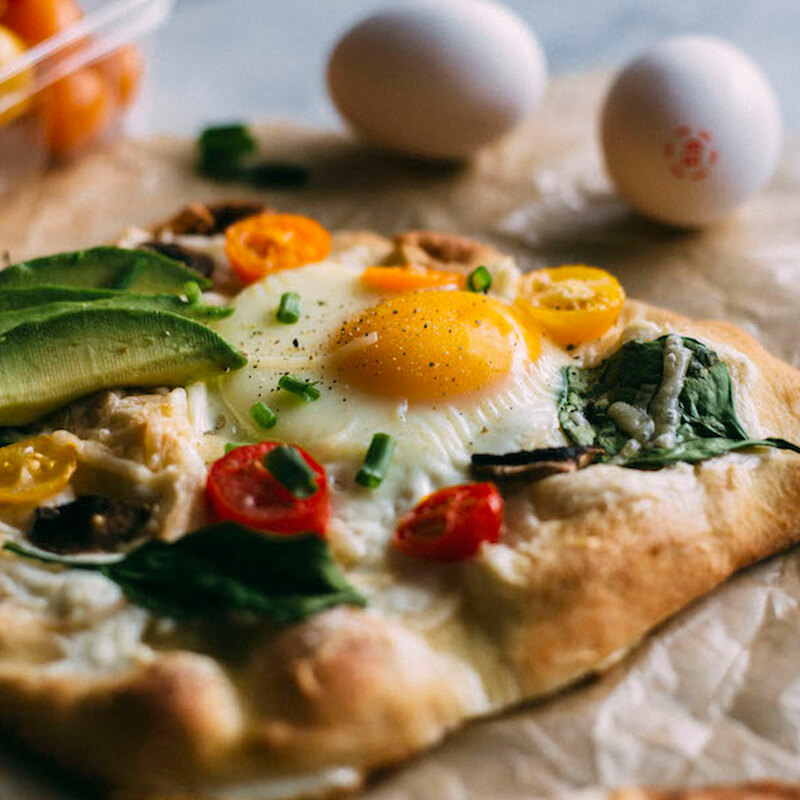 Bake pizza for approximately 10 minutes, or until egg has set and crust is golden brown on the edges. Sprinkle with chopped chives, salt and pepper..